Does your child smile with confidence? KID’S CLASSES at Victoria Martial Arts are underway and parents couldn’t be happier! He/She can practice the art of kickboxing through a series of exciting martial arts and fitness activities, obstacle courses, team work games, child focused drills, pad work sessions and so much more. Our VMA kids program is based on the principle that if every child learned the respect, courtesy, and discipline that the martial arts teaches our world will be a very different place. Our focus is goal setting, self-discipline, self-respect and ensuring children emerge from this program changed for the better. In every one of our classes your child will be engaged in the above concepts while having tons of fun. It helps them develop a healthy mind and body; empowering them with a non-quitting spirit, and the confidence to face life’s challenges and succeed. We take pride in making it our mission to make sure every child who trains with us has a healthy sense of self-esteem and good self-image that can only be achieved through education and training. Our friendly, enthusiastic coaches have the ability to motivate and encourage children as they progress through their training, oriented around character development and teaching life skills building self-confidence, self-esteem, learning anti-bullying techniques, respect, discipline, sharing, kindness, and team-work. It’s more than just punching and kicking! 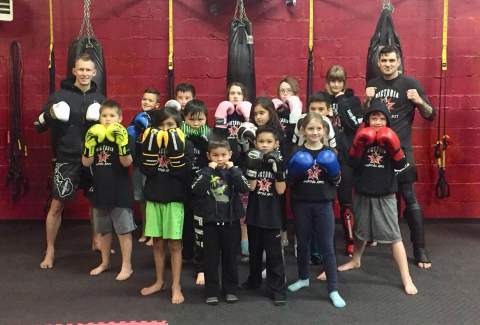 Our VMA kids program offers co-ed, age-appropriate martial arts classes that nurture positive character development, great social skills, while targeting the various stages of development. If you have any questions or would like more information please message us through Facebook or contact us at 250 886-8386. Victoria Martial Arts added 10 new photos from April 1. COPYRIGHT ©VICTORIA MARTIAL ARTS 2018. ALL RIGHTS RESERVED.